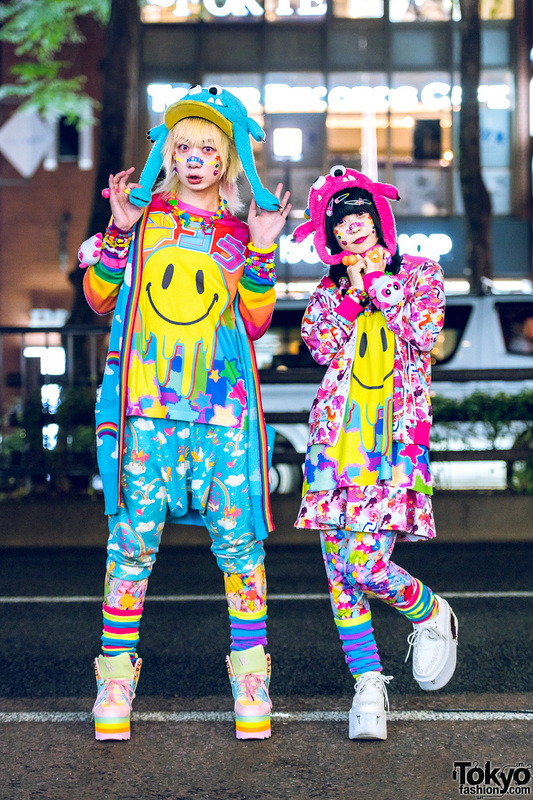 Japanese Pop Idol and streetwear personality on the Harajuku street with colorful kawaii streetwear styles while out and about. Harajuku teen sporting a purple-hued streetwear outfit while out and about on the street. Japanese fashion student sporting pink twin braids and a black minimalist outfit while out and about on the street. 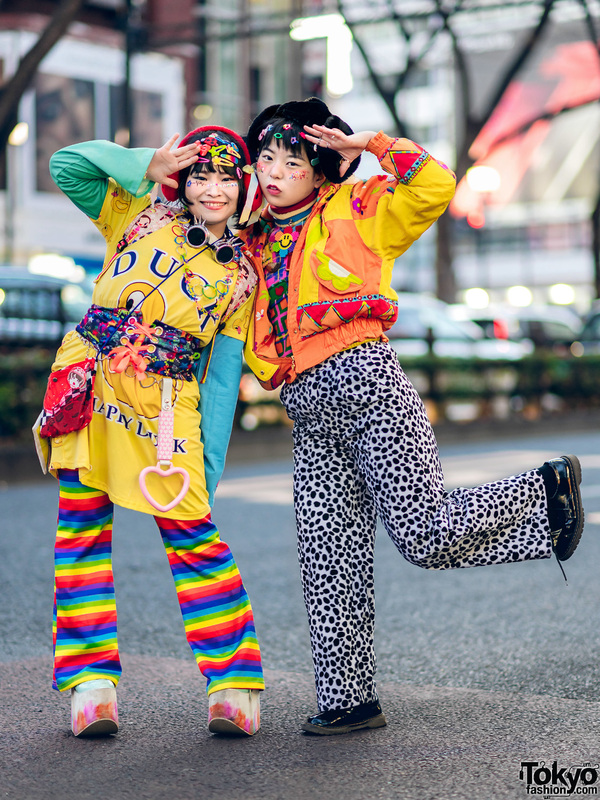 Harajuku duo in colorful kawaii fashion styles attracting our attention in the street one fine evening. 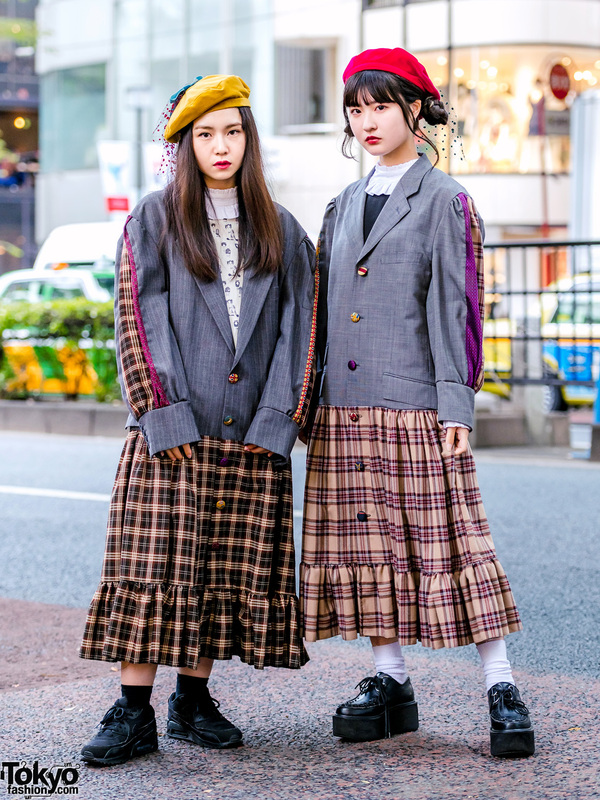 HEIHEI Japan girls in matching plaid coat dress fashion while out and about on the Harajuku street. 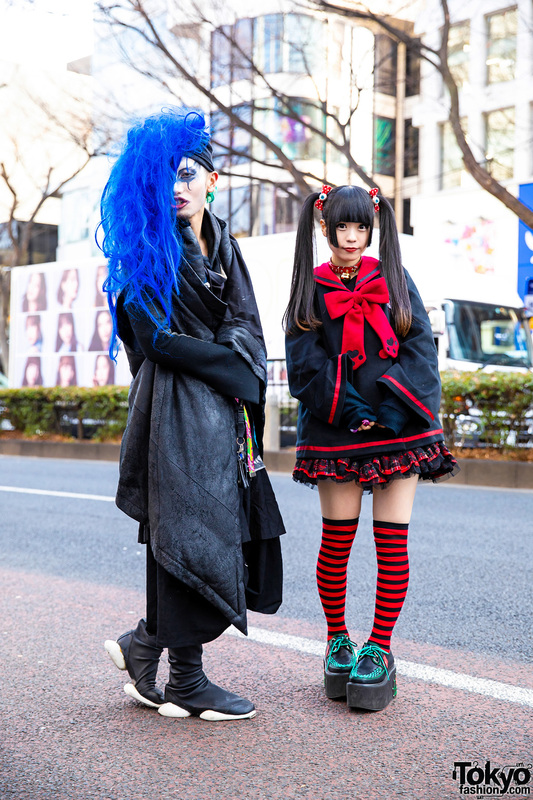 Harajuku girls wearing all black streetwear styles while out and about on the street. Harajuku girl clad in a black t-shirt, denim frayed shorts, platform creepers, waist bag and accessories.